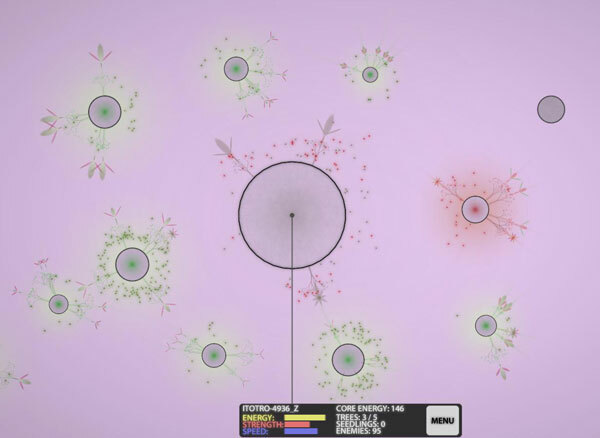 Eufloria is an ambient indie strategy/puzzle game that blurs the line between strategic depth and shallowness. Your goal is to colonize all the asteroids in the playing field using your fleet of organic plant ships called Seedlings. Each asteroid has three characteristics – Strength, Speed, and Energy – and their varying levels determines the qualities of the resulting Seedlings that are grown from the Dyson trees. You see, to control of an uninhabited asteroid, you essentially sacrifice 10 of your Seedlings to grow a Dyson tree, which makes more Seedlings indefinitely. If said asteroid is inhabited by the enemy, your forces must attack any enemy Seedlings there, blow up one of their Dyson trees, and then kamikaze themselves through the root system to sap the core. Once the core is sapped, the asteroid is yours and any surviving Dyson trees are automatically converted to your side. While all of this undoubtedly sounds strategic and exciting, the actual core gameplay can best be summed up by sitting around until you zerg the ever-living hell out of the enemy. There are actually additional strategic elements involved such as Defensive trees, tree-boosting flowers, and Death Star-esque multi-laser flower ships… but, again, all of them are problems that can be solved with the hammer of the zerg swarm. The interface is clean, the ambient music relaxing, and the overall experience is somewhat refreshing in a distilled water sort of way. The last group of missions actually does require some strategic elements, but even then the issue ultimately comes down to surviving against the swarm long enough for your swarm to outnumber their swarm. Ultimately, I believe Eufloria to be one of those games that would unequivocally be better suited to the iPad or the Touch rather than computer proper. One grenade, half a dozen crimes against humanity. I actually played Kane & Lynch 2 before the original, so my experience with the series is somewhat disjointed. 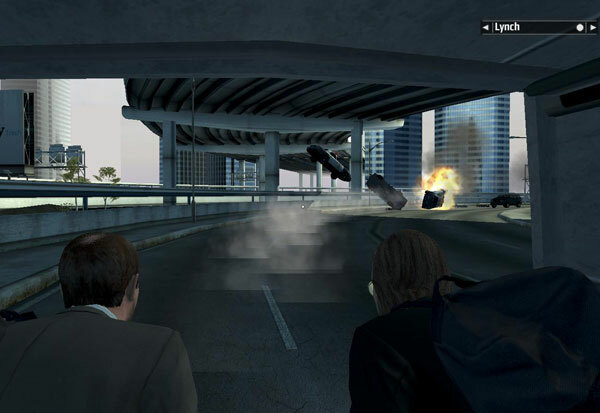 This game follows Kane, an ex-mercenary in prison on his way to being executed. Along the way, he is “rescued” by Lynch along with the surviving members of The7, a mysterious organization that Kane betrayed in the past presumably because he believed them to have been killed in a botched mission. Actually, the whole convoluted backstory remains largely unexplained to the extent that it feels like you walked into a movie halfway over. The game itself is an over-the-shoulder shooting spree as you navigate Kane through areas of cover and increasingly ridiculous scenarios. The7 has kidnapped your wife and daughter, and to get them back you rob a bank, escape by murdering half the police force in the western United States, fly (!) to Tokyo, fly (!!) back to the US, kill some more people, fly (!!!) back to Tokyo, and fly (!!?!) back to the US and other locales, as if there is no such thing as a no-fly list in the year two thousand and goddamn seven. Despite the over-the-top ridiculousness of the entire scenario, despite the somewhat clumsy game mechanics, and despite everything else that I should objectively dislike about the game… the Kane & Lynch series is one that I actually enjoyed. For $5, but still. Both Kane and Lynch are completely unlikable characters, until you start finding their chemistry (if nothing else) rubbing off on you. To that end the voice acting is excellent to the point that you really do feel like you are playing a movie. Perhaps a bad movie, but by the end you want it so much to be a good one that you meet it halfway. Now with 100% more lens flare. Much like the original, Kane & Lynch 2 is an over-the-shoulder cover shooting spree that sees you playing as Lynch, the self-medicated psychopath, rather than the ex-mercenary Kane. One of the notorious aspects of the game is the camera system, which was definitely designed to give the impression that a drunk guy with a handycam is the one filming yet another outlandish slaughter by this dastardly duo. Although this game actually has a lower Metacritic score than its predecessor, it is actually far superior than the original in many key ways. For one thing, Kane & Lynch 2 has a much more reasonable escalation of violence. 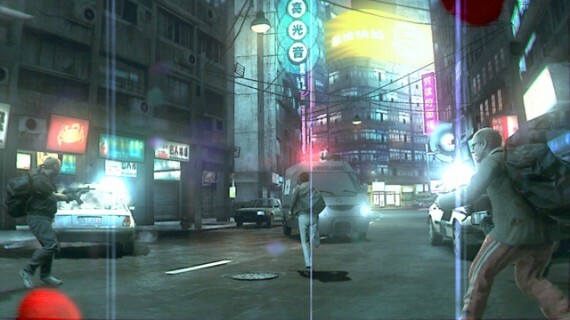 Starting out with a botched mission in Shanghai, you move through the Chinese underground being chased by the gang you wronged, followed by who they were working for, then eventually the police and military. Compare that with the original in which you kill American police officers and hostages in the opening acts and freely take international flights multiple times later on. So from a narrative perspective, one of series’ strong points, the sequel out-shines the original quite nicely. Plus, in how many other games are the main characters brutally tortured only to escape and run around shooting people while completely naked and covered in box-cutter scars? This is not to say that, strictly speaking, Kane & Lynch is a good game. You are not likely to play the game again, and you may have trouble even completing a single play-through if the first 5-10 minutes does not grab you (as that represents pretty much what you’ll be doing the entire time). Personally, I enjoyed myself quite a bit even though I developed a headache from the rather punishing lack of lulls in the action. Ultimately, I am glad that games like Kane & Lynch exist, because they definitely explored directions that few (if any) other games have ever dared. Even if those dank, dark corners of interactive fiction proved ultimately fruitless, at least we finally explored them. You are the blue orb, red orbs will kill you, good luck. Osmos is a deceptively simple, intuitive puzzle game that turns out to be extraordinarily complex in many ways. The premise is that you control a blue orb, and you are tasked with absorbing those orbs smaller than you while avoiding being absorbed yourself. Movement is accomplished by ejecting small bits of yourself, which causes your orb to not only shrink, but also causes other orbs to grow if they end up absorbing the launched matter. 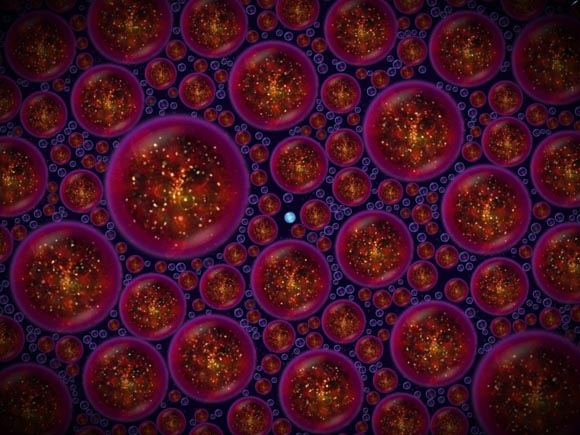 You are aware at all times which orbs are smaller than you (e.g. capable of being safely absorbed) by their color: blue is safe, while red is not. Indeed, this elegant “scoring” has been one of the most psychologically satisfying mechanisms I have ever seen in a game – there is nothing quite analogous to finally absorbing a target orb and watching the rest of the playing field suddenly turn blue. Honestly, “elegant” is simply the best way to describe the game period. The background, the ambient soundtrack, the visuals, the gameplay… everything about the game simply fits. Once you complete the starting missions, the game branches out in three “gametypes” which you can complete in any order. One branch is Sentient, where all the levels feature, well, sentient orbs that will move around and attempt to absorb you. Sentient levels becomes somewhat a race against time as your opponents gobble up orbs and each other while you try and do the same. The second branch is Ambient, where all the levels feature massive amounts of stationary orbs all over the level. In these, you typically start out completely surrounded by orbs that will kill you if you bump them, and the idea is to push them into each other without letting one get too big to absorb yourself once you clear a path. The last branch is Force, in which the levels literally revolve around a sort of “star” with a gravitational pull. The later Force missions are simply diabolical, and require a level of patience and skill that I simply was not able to possess. Overall, if you are able to simply let go of those levels/branches that you do not enjoy, Osmos is a mentally stimulating game that happens to also be deeply relaxing as well. When I think of indie games that push the genre/medium in general forward and have no AAA analogy, Osmos ranks towards the top of that list. God this game is gorgeous. 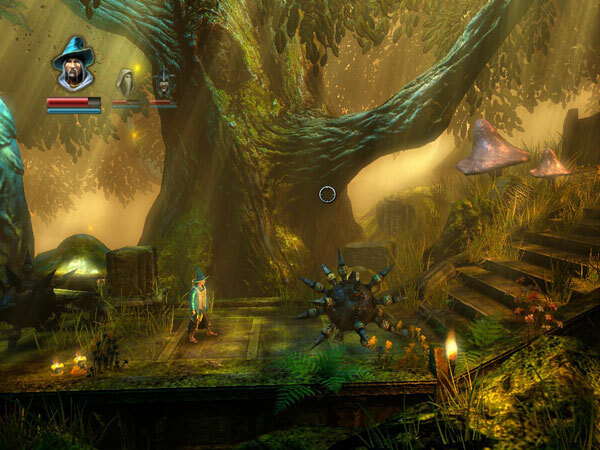 Trine is one of those rare games that you forget isn’t some AAA title in the midst of playing it; an indie game that pushes the genre and medium as a whole forward when so many big studios are cashing in on derivative sequels. The premise of the game is that a mage, a thief, and a knight walk into a bar end up touching the Trine, a plot object that explains why you can instantly swap out one character for another one at the touch of a button. The mage is able to conjure into being steampunk-esque cubes, planks, and eventually floating triangular platforms, in addition to being able to manipulate said objects (and others) by moving them around telekinetically. The thief is extremely agile, shoots arrows, is able to perform a limited wall-jump, and has a grappling hook that allows her to swing around. Finally, the knight has a sword and shield, can lift heavy objects, and can break barriers down with a giant hammer. The plot itself is fairly generic fantasy storybook fair, but the lack of its depth is easily compensated by the puzzle platformer aspect of the rest of the game. See, you’ll come across “puzzles” like a pit with a bunch of spikes in it that is too far to jump over. You can “solve” it as the mage by conjuring cubes to drop onto the spikes, conjuring planks to lay over the spikes/across the cubes, build a cube tower to give you enough height to jump across, and so on. Alternatively, you can use the thief’s grappling hook to grab onto any overhanging wooden branches and swing across. Or you can have the mage conjure a floating platform, and then have the thief grapple the platform to swing across. Or just have the mage conjure multiple floating platforms. Or… you get the idea. I put “puzzles” in scare quotes because they are never really presented as puzzles per se. Some are, sure, but many are not. What’s great about the system is that each of your three characters level up and get to choose where to spend “talent” points, for lack of a better term. For example, I may decide that I want the mage to be able to conjure three cubes instead of just two (at the expense of two planks, or upgrading the floating platform to be wooden, so the thief can grapple onto it). That choice has a profound impact on how you end up getting past certain areas, as you can imagine. Even though the characters do not end up being terribly balanced against one another – the thief can generally complete 99% of the game by herself, if you have quick enough reflexes – the game as a whole is delightful, absolutely gorgeous, and ends far, far too quickly. I would have easily been entertained for another 20 hours had there been that many more levels. Posted on October 8, 2011, in Review and tagged Eufloria, Indie, Kane & Lynch, Osmos, Trine. Bookmark the permalink. 2 Comments. Trine was such a great game. Don’t forget, you can get Trine for about 5 bucks for a couple days more still at the Humble Frozen Synapse Bundle! I played the Trine demo a while back, and was happy to pick it up in the Humble Bundle. It has that “Lost Vikings” feel to it that I’ve been missing in my platformers. It’s not quite the same, sure, but I love that you can use the different characters to approach the game in different ways.